Bathroom Vanity | Creative Kitchens & Baths Plus Inc.
Are you looking for a beautiful bathroom vanity that is perfect for you and your bathroom? 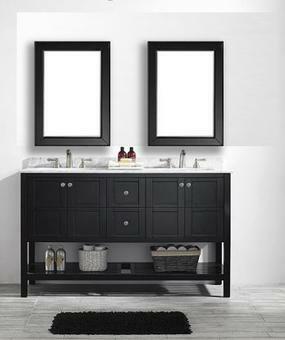 Your bathroom vanity plays a very important role in your home. Whether your’e just starting your day or getting ready for bed, almost every day begins and ends in front of the bathroom vanity. As an integral part of your home, the bathroom can play an important role in in how we live our lives. Are you tired of looking at your old outdated bathroom cabinets or vanity? Are you looking for a local company with an excellent reputation? A company who specializes in bathroom remodeling? If you answered yes, then Creative Kitchens and Baths Plus, Inc. is the company that is perfect for you. Call (727) 849-0007 today or contact us online to schedule a FREE Design Consultation with one of our professional designers who is an expert in custom bathroom remodeling. Is it time for a bathroom makeover! If it is time to remodel your bathroom, then it is definitely time to trust the experts at Creative Kitchens and Baths Plus. At Creative Kitchens and Baths Plus we know what it takes to transform an old outdated bathroom into one of the most beautiful places in your home. We specializes in both Kitchen cabinet and bathroom vanity sales, service and installation. Our company has built a reputation as one of the best kitchen and bathroom remodeling companies in the entire Tampa Bay area. 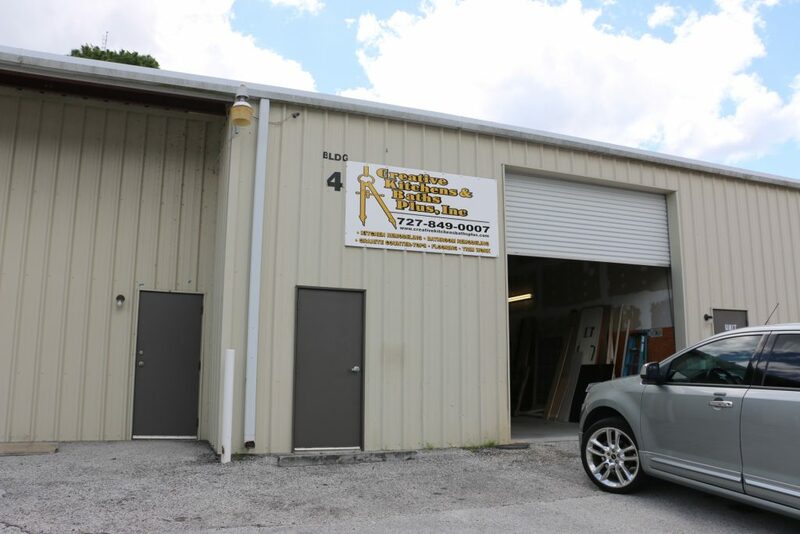 With our showroom located in Port Richey, Florida, we provide high quality products and services throughout the entire West Central Florida region including Pasco, Pinellas, Hillsborough, Polk, Hernando, Citrus, Sarasota, Lee, Sumter, Manatee, and Charlotte Counties. At Creative Kitchens and Baths Plus we give you the opportunity to work one-on-one with a professional experienced bathroom remodeling expert. Our highly qualified and experienced design team is among the best in the industry in the Tampa Bay Florida area. We offer top-notch expertise along with superior craftsmanship in every bathroom vanity we install. Are you looking for a particular brand or color? We carry some of the most popular bathroom vanity brands on the market, and offer a wide variety of vanity styles and colors to choose from. Come visit our local showroom and see first hand all of our high-quality vanity products. We provide custom designed vanities and premium installation at an affordable price. We offer a wide variety of custom vanity designs and bathroom remodeling ideas that will inspire just about any homeowner..
For the very best custom bathroom vanities in the Tampa Bay area, visit Creative Kitchens and Baths Plus! Call Today (727) 849-0007 or contact us online to schedule a FREE Design Consultation with one of our professional bathroom design consultants.